The holidays bring cheer to all of our senses! There's the taste of home-baked cookies, the smell of a fresh Frasier fir, the sight of sparkling lights all around your neighborhood. Many of our most beloved Christmas memories are connected to the sounds of the season! Those joyous songs we sing with family and friends each December remind us of all the good times we've shared. 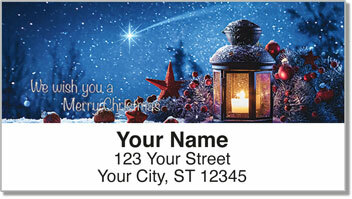 Christmas Carol Address Labels from CheckAdvantage feature four verses from your favorite holiday tunes. 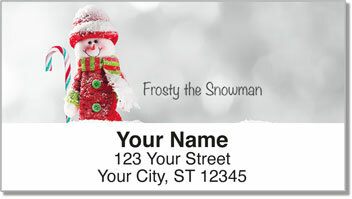 They are a great way to mark all the special greetings you'll send out in the mail this year! 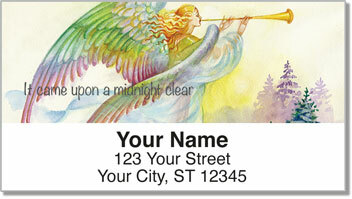 A handy self-adhesive backing makes it easy to prepare letters and packages for the mail carrier. 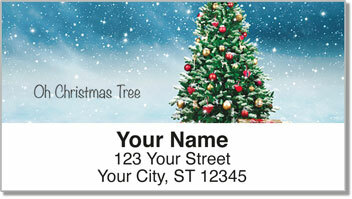 Get your own Christmas Carol Address Labels today! This jolly design is also available as a set of matching personal checks for all your holiday gifts and charitable donations.